Unless you’ve been living under a rock, you probably have heard of the recent hype involving 10-year-old pictures. The 10-year challenge is where people on social media post themselves from 10 years ago with the hashtag #10yearchallenge. Like us, celebrities wants in on the hype. Here is our rundown of celebrities who participated in the latest social media trend. Ellen looks pretty much the same then and now. What sorcery is this?! Here’s something fun, try spotting any signs of aging. Raise your hand if you failed! The actor looked amazing in both pictures. And no Viola, it’s never too late to bless us with your pictures! “When time and hair product are on your side,” Seacrest captioned his ageless transformation. Hey Ryan, we need you to drop the skincare routine ASAP! Kevin Hart captioned his picture “This challenge has shown me that I simply have an old man’s face,”. What are you talking about Kevin? The female rapper used a few emojis to describe her glow up. No words needed to describe this beauty! Social media stars also jumped on the bandwagon, and we’re living for these hilarious transformations. We agree with Bret on this one, that picture should’ve stayed in 2009. Manny Mua captioned a reflective message, we love a reflective queen. 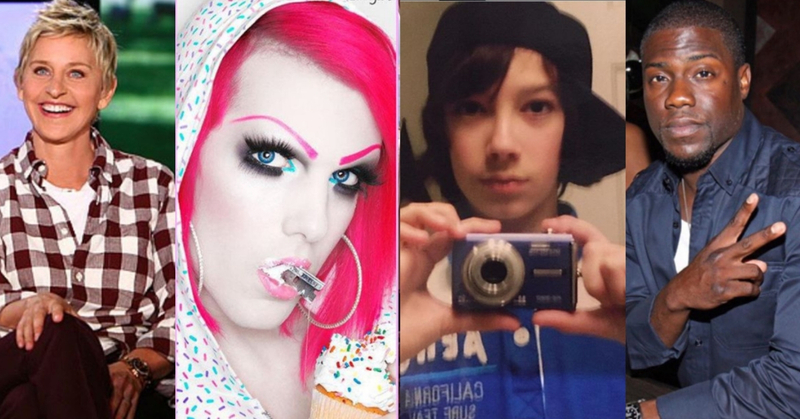 Zane took to twitter to tweet a hilarious glow up with a simple caption of 2009 vs 2019. Wait a hot minute! Did he just face tuned his face?! The YouTube star not only showed us a transformation of looks but he captioned it “punk rock to CEO”. A transformation of epic proportions and just as savage with his captions as usual! Did we miss out on any of your favourite celebrity transformations? Let us know in the comments! Cafes That You Cannot Miss Out!